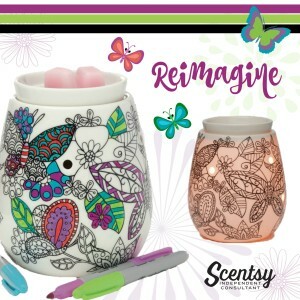 Everyone needs a little color in their life and our Reimagine Scentsy Warmer will help you relax, unwind, and enjoy. It’s your canvas, brought to life through your own unique vision. Reimagine lets you take the artistic lead and design a one-of-a-kind piece with inspired creativity and color. 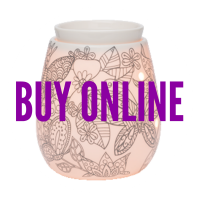 Reimagine Scentsy Warmer comes with 3 pieces, including the Scentsy electric warmer base, a Scentsy warning dish, and a 25-watt Scentsy lightbulb.